2017 November « God is Good! In November, 1943, on the Feast of Christ the King, I was kneeling in the Main Chapel of St. Mary of the Lake Seminary. The Blessed Sacrament was exposed on the High Altar, as was the custom on this great Feast Day. I was in the process of making a serious decision for the future. For several years I had been reading the Maryknoll Mission magazine, then called “The Field Afar”, about the work of its missionaries in China. All American priests, these men were bringing the Light of the Gospel to the Far East to roll back the darkness of paganism. 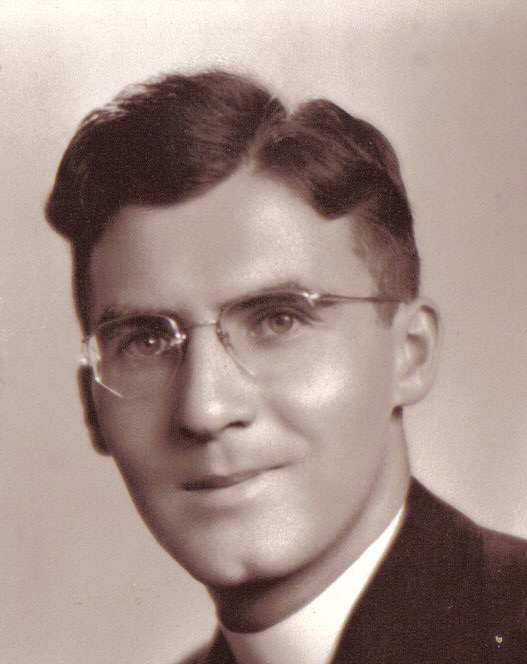 With Ordination to the Priesthood just a few months away in May, 1944, I was planning to enter the Maryknoll Society and spread the Kingdom of Christ in China. However, to jump quickly ahead, because of local conditions beyond my control, I had to give up this dream of being a Missionary in China. The memory of this decision of many years ago still lingers to give me much consolation. I was willing to leave family and Country to bring the Kingdom of Christ to the Chinese people. A speaker on the radio gave me a deeper understanding of this Kingdom when he described it in this way: “Wherever Jesus is honored, loved and cherished, there is the Kingdom of God.” The Kingdom can be in our hearts, our home and in our Community. On this Solemnity of Our Lord Jesus Christ, King of the Universe, as we say, “Thy Kingdom Come” in the Lord’s Prayer, think of the astonishing possibilities of Its holiness, peace, and justice being present in our own very hearts and lives. When we love, honor and cherish Jesus of Nazareth, then we bring His Kingdom into our everyday living. From this realization will proceed a strong desire to spread His Kingdom in the hearts of other people by our example and our sharing of the ideals of the Kingdom. Like my dream of being a missionary in China, sometimes God’s Will takes us in a different direction. 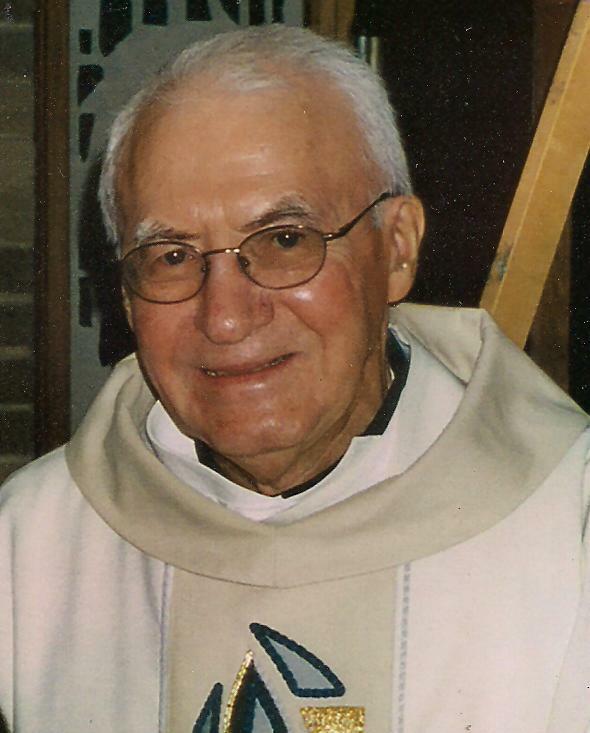 Had I not listened to His Voice and His Calling, I would not have been a teacher, a parish priest; I would not have heard His Calling for a Chapel in Midway Airport; I may not have been open to continue His Calling through this humble Blog. Encourage others to accept Jesus as their King – and listen to His Calling. 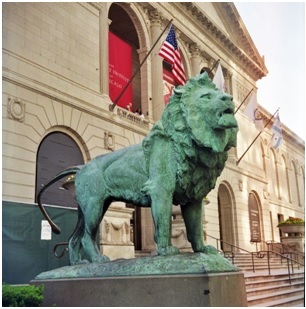 One of the world famous Edward Kemey’s Lions in front of the Art Institute. I always enjoyed visiting the Chicago Art Institute on Michigan Avenue. Within its walls, this world famous Museum contains priceless and irreplaceable art treasures. I would walk along it corridors and quickly view the paintings of the masters, works of sculpture and the seasonal cultural exhibits. My walk was always a solo flight. With only myself and my own little knowledge of art and culture, I just hoped that some of this remarkable work of creative minds would sink into my life and uplift it. Oftentimes, in these wanderings in the Museum, I would run across school children, some 30 or 40 in a group. They would usually be seated on little camp chairs in front of a masterpiece as a professional guide from the Museum would be explaining the features of the painting to their fresh, young minds. Frequently I would stop and listen, enthralled. In an exciting, well-modulated voice the guide, generally a woman, would explain the color tone, the artist’s reason for drawing the picture, the time period of the work and other valuable insights. As I would listen, I found out sadly, how much I was missing in my solo journeys through this treasure house. Do I realize how much I am missing in my daily journey by making solo flights along the hallways of life? There’s no need to depend on my own small amount of wisdom to get the most out of life. I can provide myself with a professional guide. I can invite the Holy Spirit to come with me to point out helpful ideas in all the happenings that come my way. Like the professional guide in the Museum, this Holy Spirit, friendly and totally knowledgeable, truly willing to communicate, would enrich my mind and heart beyond my fondest dreams. In my journeys through the corridors of life, encountering it artistic treasures, such as sadness, tragedy, bewilderment, despair, as I thirst for happiness, like the little school children, I will sit down and listen to the Spirit speaking to me. This Gentle, Lovable Person will point out to me the richness contained in those personal life adventures. A very Happy Thanksgiving to all my readers. May our Loving Father continue to bless you abundantly.